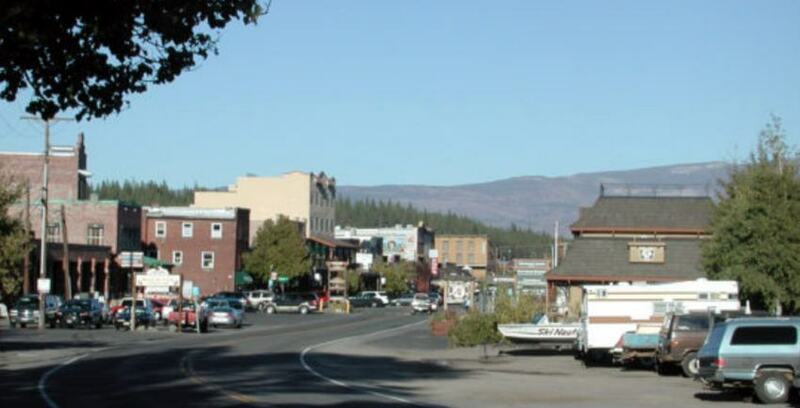 Are you thinking of moving to Truckee? We did some research and compiled some facts for you to save time. Truckee has a population of about 16,000 which is mostly White and Hispanic with several other races, but these groups are much smaller. The median home value is $543,000 and the average rent is about $1,300. It should be noted that there are some small homes and condos for much less than $543,000. The high median may have been driven up by the presence of some million and multi-million dollar homes. In fact, there are some mobile homes in Truckee that are less than $100,000. If you are renting, you might find a studio for about $900 and a one-bedroom for $1,000 or more. if you look carefully, you might find a shared living situation for about $500 a month. Moving to Truckee is something a young adult who likes the outdoors and particularly winters sports may enjoy. It also will be much quieter and relaxing for someone coming from a major metro area like San Francisco, Oakland, San Jose, or Los Angeles. Moving to Truckee might be appealing to people who like open space, a very small town, access to nature and a slower pace of life. The climate is dry and cool in summers and very snowy in winters. Dozens of inches of snow can be dumped on Truckee in just one storm. Annually, Truckee receives about 200 inches of snow. There is also a Farmers Market called the Truckee Community Farmers Market which features produce from local farms. According to Great Schools, the public schools in Truckee are rated as good, which is not common. For adults, Sierra College has a campus in Truckee but it is based in Rocklin. For adults, Sierra College has a campus in Truckee but it is based in Rocklin. Sierra Nevada College is two-year institution located about 15 miles from Truckee in Incline Village, NV. There are two four-year universities in Reno, Morrison University, and the University of Nevada – Reno. Truckee is near Sand Harbor which is on Lake Tahoe at Incline Village; Sugar Pine Point State Park is also on Lake Tahoe at Meeks Bay. If you prefer Buddhism, Truckee does not have a temple, but there is one in Reno: Reno Buddhist Church-Eikyoji Institute. There is also a Hebrew congregation not far from Incline Village. If nature is important to you, then you will probably like Truckee, which is just 14 miles north of Lake Tahoe. South Lake Tahoe is over 40 miles away. The elevation of this small town is 5800 feet, and the setting is mountain forest. There are trees everywhere, mountain slopes and peaks. So, if you like skiing, fishing, snowboarding, biking, hiking, jogging, camping, wildlife, clean air and so on, moving to Truckee might be a good idea. If you like the outdoors, this area will suit you, unless you don’t like snow. Truckee has a small historic section which is worth visiting if you like history. There are two movie theaters on Northstar Drive, though they are smaller than the ones in a typical urban setting. Not far away, there is also the Tahoe Art Haus and Cinema. Heavenly Village Cinemas are in South Lake Tahoe, though that can be quite a drive unless you have something else to do there in the same trip to make it more worthwhile. There is rafting on the Truckee River, the Carson River and the north fork of the American River. Of course, there is boating and swimming on Lake Tahoe. Donner Lake is much smaller, but also is closer to Truckee and it is near the Donner Memorial State Park. Kidzone Museum – Children like to come here to play or do crafts. Mountain biking — bring your own bike or rent one to ride around the town or hit some local trails. Yes, we have a storage facility in Truckee and can answer your storage questions. So, after reading all this information are you still interested in moving to Truckee?